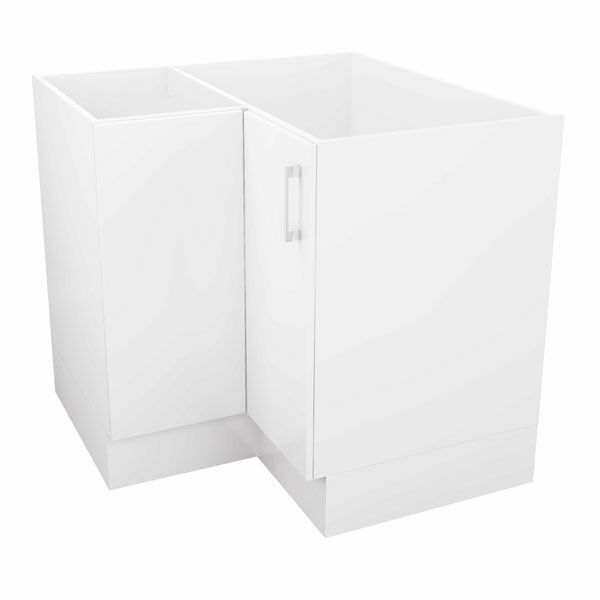 Lend a contemporary look to your kitchen with our Corner Base Cupboard 90cm Left Hand Hinged base cabinet. 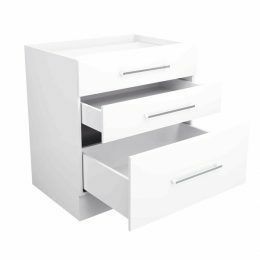 With gorgeous looks and a special design, this double door base cabinet comes with a left-hand hinge. 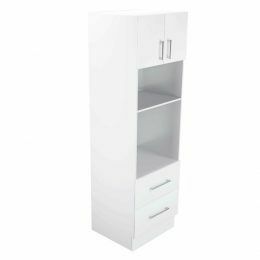 The Alpine Corner Base Cupboard 90cm Left Hand Hinged base cabinet measures 90cmx90cm Width x 58cm Depth x 86cm Height in dimensions. Featuring high-quality manufacturing using HMR board, this base cabinet is built to last. The surface also features a 2-pack finish for added durability. 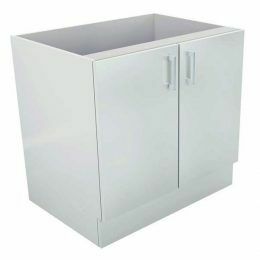 And, this kitchen base cabinet is resistant to moisture, so it will offer you many years of service. The stylish looks will do very well to give your kitchen a facelift. 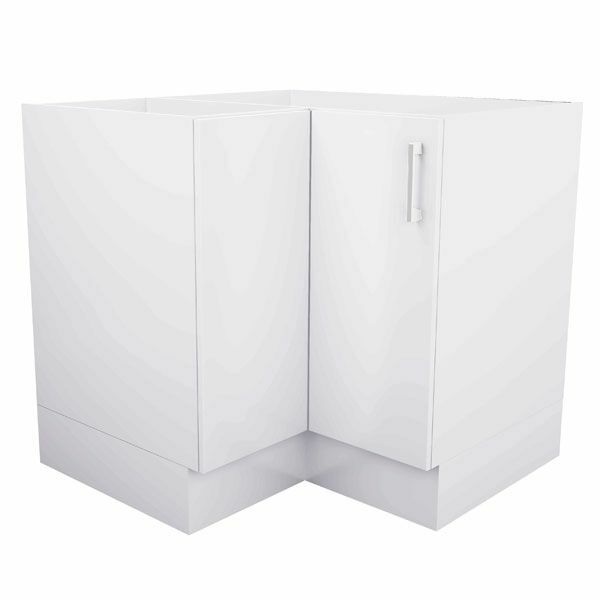 Experience the best of functionality and style with the soft closing doors and chrome handles on this base cabinet. 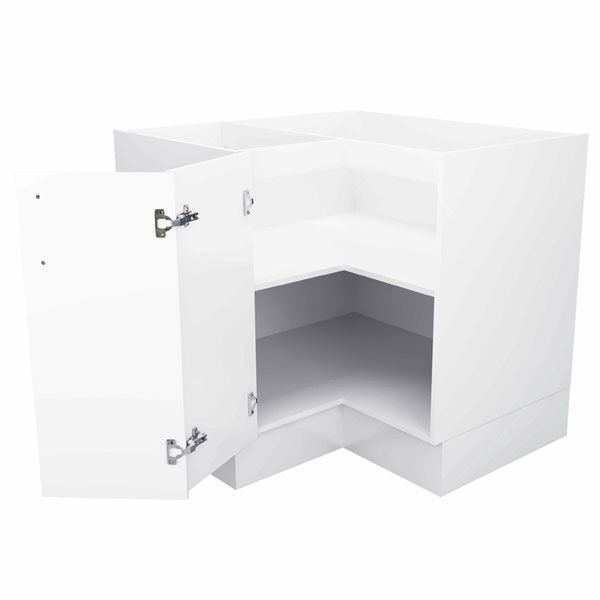 It offers plenty of storage space to cover your needs as well. Visit your nearest Alpine retailer to purchase our Corner Base Cupboard 90cm Left Hand Hinged cupboard today! 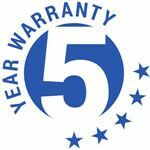 *Please note these units are supplied with a base kicker that requires some assembly, The unit is too large to fit through standard doorways if the kickboard is pre-fitted in the factory. 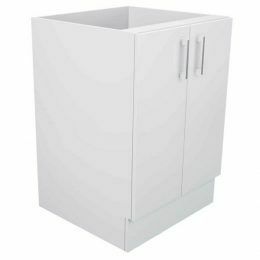 Fully assembled cabinet, base kicker requires assembly.